Wilma Mankiller, former chief of the Cherokee American Indian tribe, died April 6, 2010. She was 64 years old. 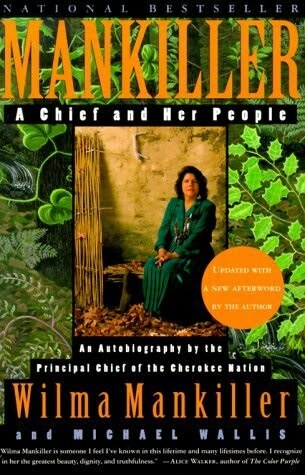 Mankiller was the first woman elected to serve as principal chief of the Cherokee. She served ten years, between 1985 and 1995. Prior to that, she was deputy chief under Ross Swimmer. She served the remaining years of his 1983-1987 term after he resigned to take a Bureau of Indian Affairs position in Washington, DC. She was elected to the position of principal chief in 1987 and 1991. Wilma Mankiller is survived by her husband, Charlie Soap, and her daughters, Felicia and Gina.